Rug cleaning, contrary to public points of view, is a profession that demands great amount of skill and expertise. Back in the old days rugs were bashed with a stick or a broom and then scrubbed with soapy water and then rinsed in a stream. We have much more advanced methods these days which can prevent the run of colour and dry the rug very quickly to avoid problems with mildew and mould. 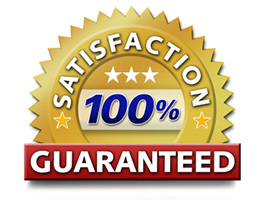 That is exactly what happens with Advanced Cleaning and Restoration Services in Adelaide, South Australia. Rugs should be cleaned and maintained with great amount of care, as rugs will absorb various types of impurities like stain, dirt, dust and soil. Dirty rugs will always remain a breeding space for mould, bacteria, germs and insects and they will have to be removed to improve the indoor air quality. Over exposure to all these impurities will invite infection, allergy and other complications and each rug will have to be cleaned with the most suitable cleaning method. Quality professionals at Advanced Cleaning and Restoration Services will assess the exact nature of the fibres before the rug cleaning process. 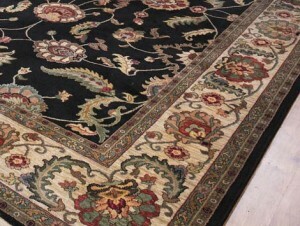 Well advanced extraction techniques will be used to ensure complete removal of the impurities and certain rugs like Oriental and Persian will be tested to identify the most suitable cleaning method. Rugs that have been soiled by pets can be cleaned with a 100% satisfaction guarantee when we soak them overnight in our special rug pond. Non-toxic rug cleaning methods will be employed to provide great safety for the customers and different methods like dry cleaning, hot water extraction and encapsulation will be used to suit the varying needs of the customers. Guarding rugs against future staining with applications of stain guarding treatments by hiring the quality services of Advanced Cleaning and Restoration and the longevity of the rug will get enhanced as well. When a rug demands special and advanced cleaning it will be done at the premises of the company. Free estimates will be given to the customers to make them aware of the financial investment involved and the entire procedure of rug cleaning will become an enjoyable process with Advanced Cleaning and Restoration in Adelaide, South Australia.